Every team needs a regular dose of team spirit to function at its best. That’s why managers turn to these easy and effective activities for building camaraderie and cohesion. 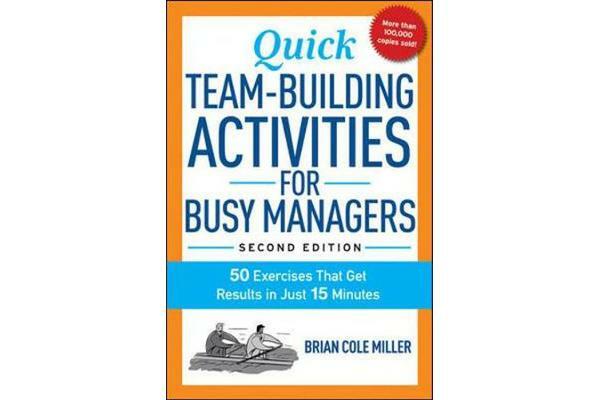 Now in its second edition, Quick Team-Building Activities for Busy Managers addresses the problems that drag down group productivity and helps teams: Collaborate successfully Cope with change Solve problems Communicate better Boost creativity Leverage diversity Nurture healthy competition And more Each of the 50 exercises takes just minutes to prep, and most call for everyday items like pens or paper clips. No elaborate training sessions or prepared presentations required. Simply scan the instructions explaining how to run the session, what problems might crop up, and which questions to ask to drive the lessons home. The results are immediate: sullen teams find sparkle, nervous teams gain confidence, teams of strangers get to know one another. 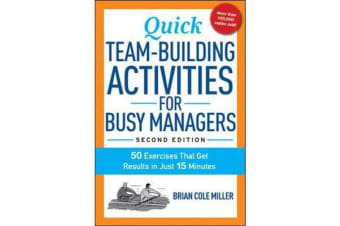 New and updated activities get everyone, including virtual teams, working together with purpose and a little bit of fun-fifteen minutes of the workday very well spent!